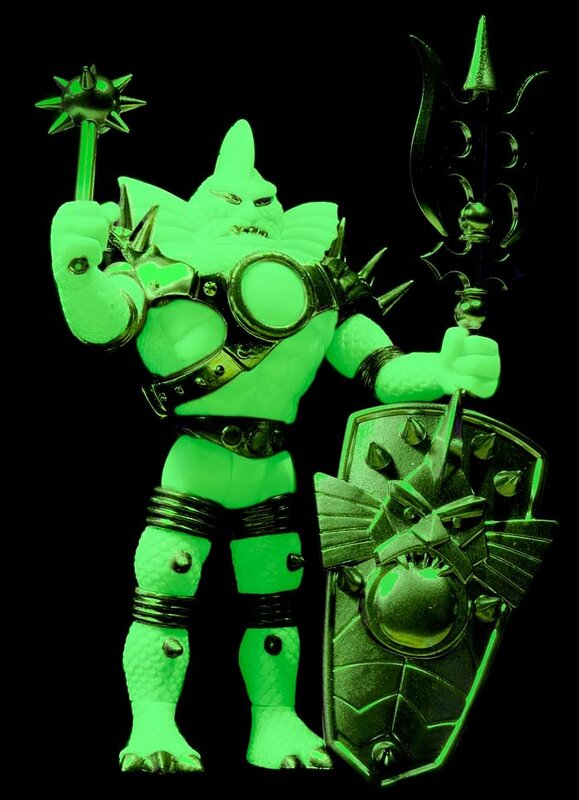 The fine folks behind the line are reissuing them with some improvements, along with a glow-in-the-dark Colossus Rex for the very first time. Gary Schaffer was kind enough to reach out with some details... and unrequested commentary added by yours truly. Colossus Rex 2.0 - this will debut on the official Outer Space Men web site, and will also be sold at Star Trek Mission New York (September 2-4) and also New York Comic Con (October 6-9). The figure is slightly closer in the rich color of the original Colorforms release nearly 50 years ago, but includes gold - rather than purple - accessories. If you missed the original figure, this is a much cheaper alternative to the secondary market. If you didn't, it's different enough that you may wish to get one anyway. $30, carded - this figure will feature new graphic design and new logos on the packaging as the Four Horsemen are no longer selling these. Gamma X Cosmic Radiation - This will debut at Star Trek Mission New York (September 2-4). The original Infinity Gamma X was covered in a light layer of glowing paint, which didn't glow fairly well. It was colored similarly to the original prototype figure, but didn't glow well. The new Cosmic Radiation edition is cast in glow plastic and looks like it will brighten the night. It's a worthwhile upgrade. $25, bagged. Colossus Rex Cosmic Radiation - The New York Comic Con exclusive for The Outer Space Men will bow October 6-9. 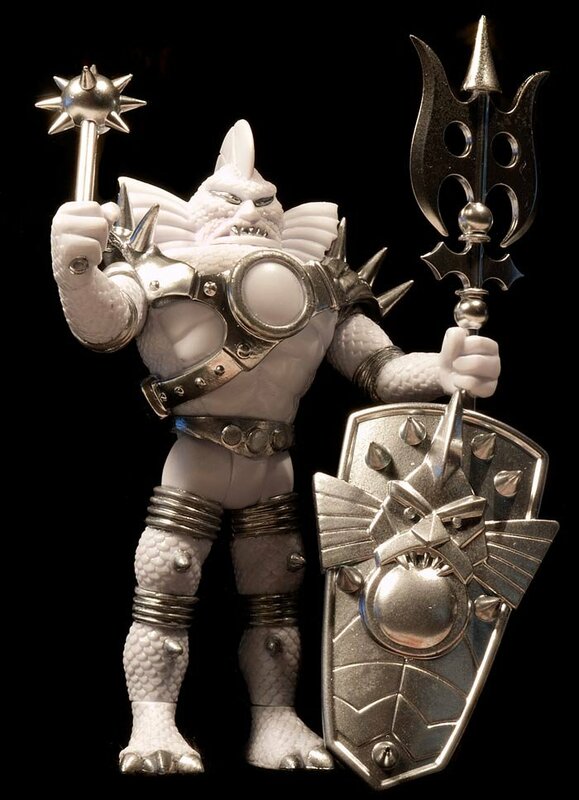 This mock-up shows silver detailing added to the figure with silver accessories. (Silver accessories were previously made available with the Ni Stuff handmade Galactic Holiday 2013 figures, and also as a set from the Four Horsemen Store.) $25, bagged. At press time the only figure we know will be sold online is Colossus Rex 2.0 - I'll post more as updates become available.